For the street car enthusiast we have developed a Top mount to keep most of Your stock amenities, this top mount faces the compressor housing to the passenger side like stock, Allowing you to keep your stock style charge and exhaust pipe routing. can keep stock 1g radiator and will need to use slim fans or pusher fans, with an H cover turbo. an H cover turbo is a very tight fit and a "tucked" sirrico style or mk3 golf radiator is recommend for easier installation and a little extra clearance room. can keep your alternator location stock as well. 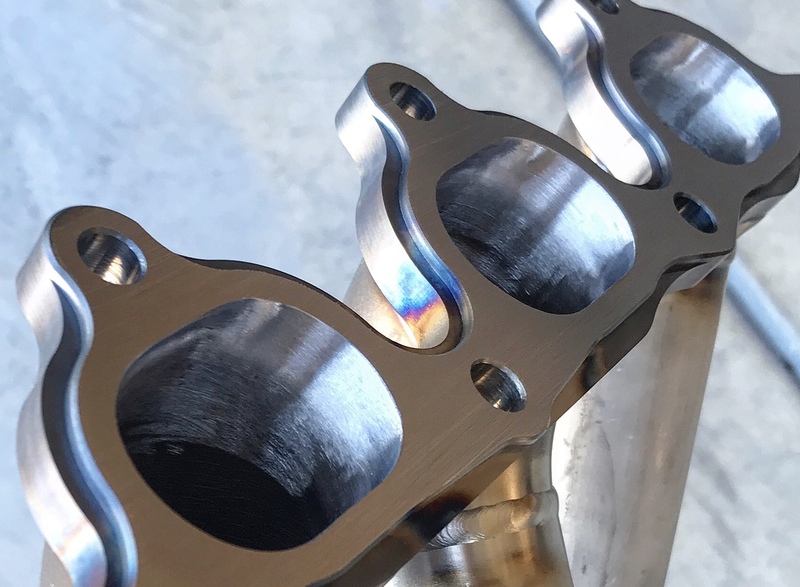 This manifold has been verified to fit T3 turbos as large as forced performance's "super94/super99" and Precision Turbo's "6870" size turbos. All Archer Fabrications, LLC. 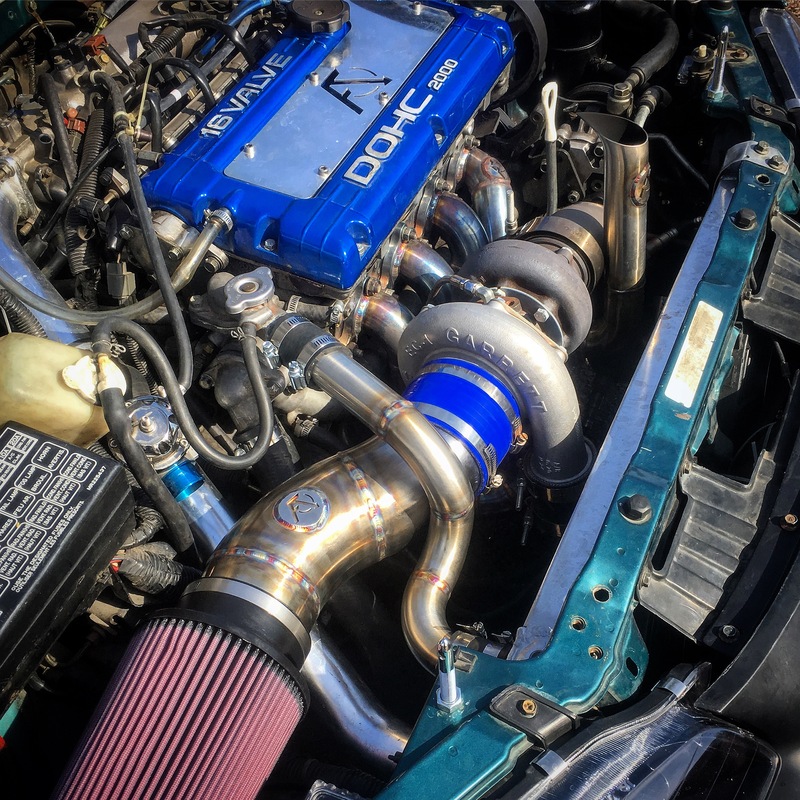 Turbo manifolds are one of a kind hand crafted pieces. Runner design may vary slightly from the displayed picture. Made in the USA and intended for "off road use." -please allow up to 3-5 weeks of build time for your manifold depending on backlog. 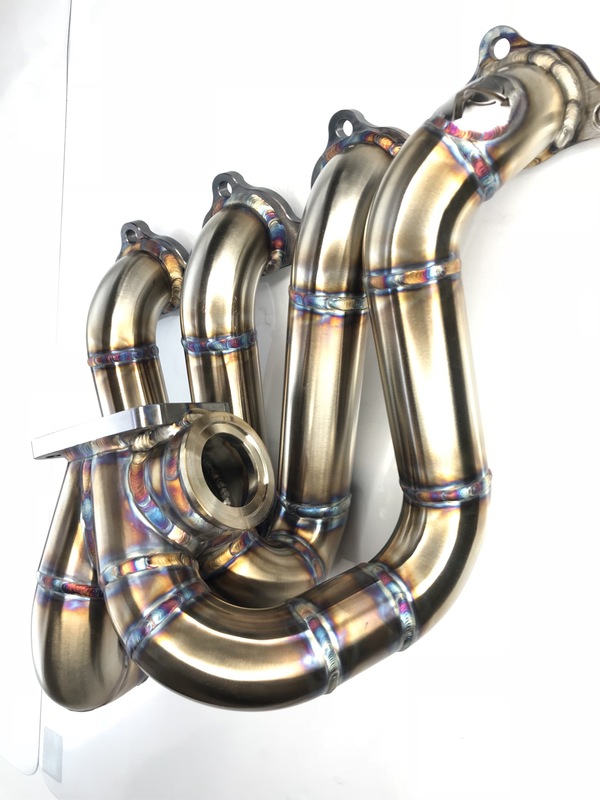 -All Archer Fabrications products are hand made to order and one of a kind, each manifold may have slight runner variations that differ from the picture.